What a find off Garden St in Whitby, practically nestled in a small suburb corner plaza. The food here is consistently fresh and fantastic. I won't spoil too much (they have a spiel they like to share with new diners...) but everything is hand-made from scratch using high-quality ingredients and fresh meat and fish. I've been enough times to have almost everything on the menu and it's been excellent. I love the pesto bruschetta to start, although the salads are very good as well. 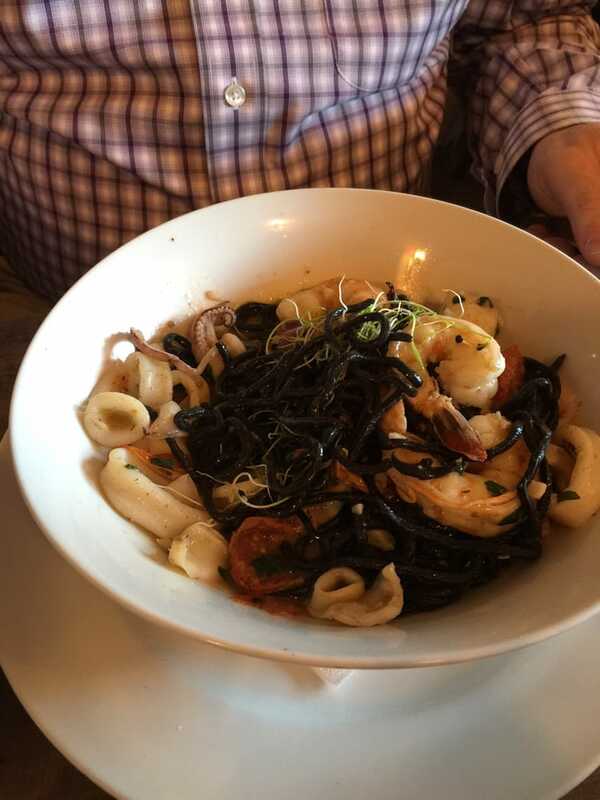 It's often hard to choose entrees due to the sheer number of specials, but you can't go wrong with any of the house made pastas, or the whole fish specials. On top of the great food, the service is consistently awesome. All this comes with a price of course - they are busy! Every Friday and Saturday night sees walk ins sent away at the door. Book ahead! 0 Response to "A Tavola Bistro"